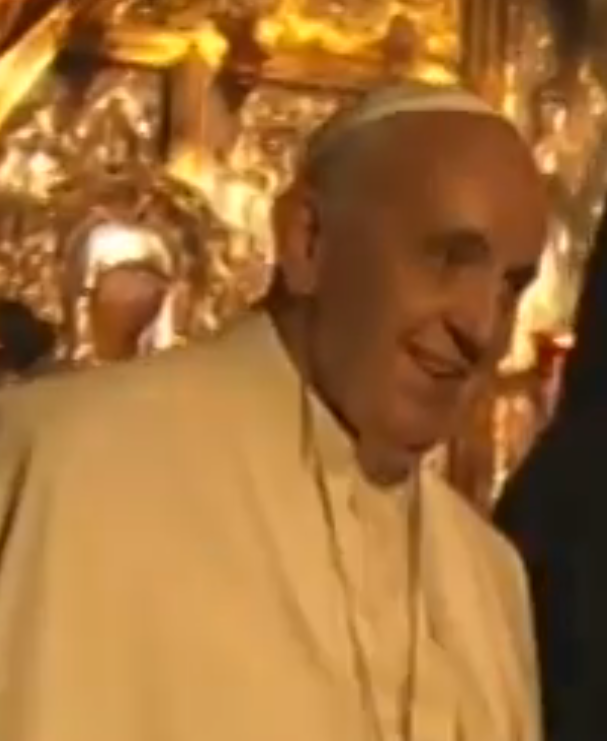 I have just watched a recording of the meeting between Pope Francis and Patriarch Bartholomew in Jerusalem. You can watch it here; there is no commentary or translation, though a lot of it is in English, and though the Holy Father spoke in Italian, there is a translation here. You will need to skip over the first part; for a long time there are security men scuttling around doing not a lot. 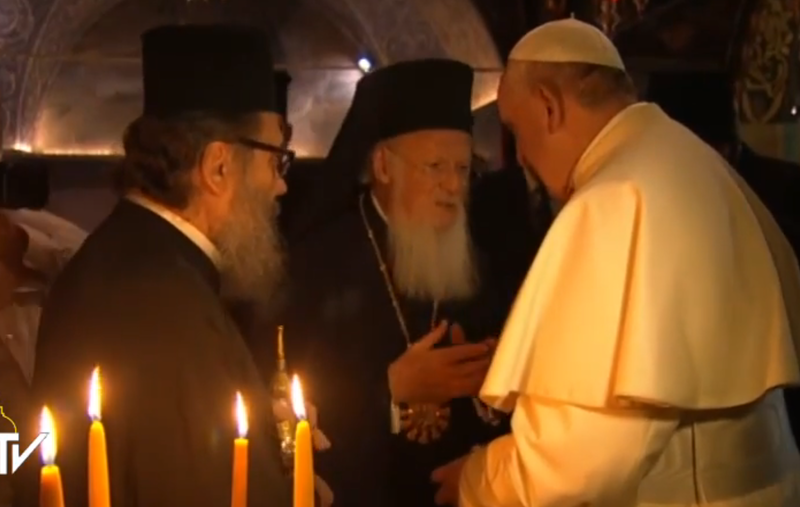 The Holy Father's homily was very good, but I was very impressed by Patriarch Bartholomew in particular. 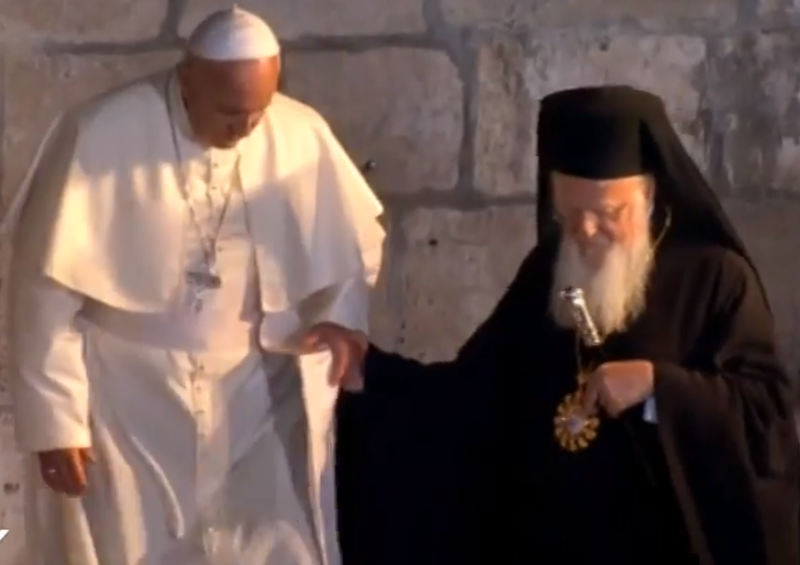 Unlike the Pope, he always seemed to know what was going on, and shepherded the Pope around; you could see Pope Francis looking out of the corner of his eye to see what he ought to be doing, seeming rather awkward and unsure of himself. But then liturgy isn't really the Jesuits' strong point, I suppose. Bartholomew has an impressive command of languages; his English appears to be completely fluent, and he conversed with the Holy Father easily in Italian, even translating for him at one point. There were two things I found rather touching; the first was at the very beginning, when the successors of the brothers St Peter and St Andrew were about to descend a short flight of steps. 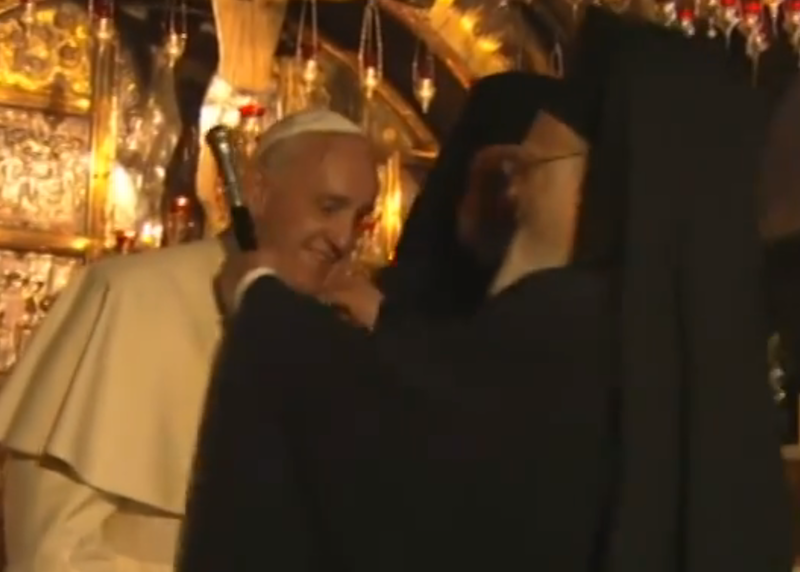 The Pope said; 'I can't go quickly down stairs', so the Patriarch, much spryer, simply gave him a hand. And, perhaps most touchingly, I noticed early on that the chain of the Holy Father's pectoral cross had somehow slipped up over his collar and was against his skin, rather unsightly and certainly uncomfortable. I was reminded of two elderly brothers, the younger carefully looking after the older. Andrew and Peter. At last! 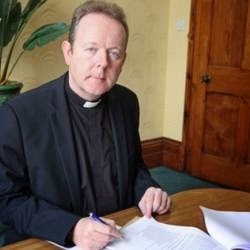 Something sensible from a bishop on the subject of the Internet, blogs and all that. In this case, it is the coadjutor archbishop of Armagh, Eamon Martin, who includes in his talk a sensible list of 'commandments' for Catholics engaging in the e-apostolate. The funny thing about this video is that in France, the priest shown would be considered definitively conservative and, well, rather un-French. Traddies in France wear the cassock; soixante-huitards wear a grey suit with a blue polo shirt and, sometimes, a cross on the jacket lapel. But the 'clergyman' dress, so familiar in anglophone countries, in France is a sort of code for someone who isn't exactly a traddie, but definitely distances himself from most of his ageing confreres.